New Postage Rates for 2013 Start January 27, 2013. New year, and always changes that come along with it as well. The Post Office has recently switched from doing large postage increases every 4 years to a smaller increase each year to keep up with costs, and industry fluctuations. So, since that change is coming fast for many of us on Sunday I thought I would give you all a reminder of this, and what I was able to put together to assist you with as well. Forever Stamps, the ones that remain good despite future postal rate increases, will increase to 46 cents. (Hint) Purchase a bunch of 45 cent Forever Stamps now. Other changes will be including a First Class Mail Global Forever Stamp that will allow customers to mail letters that are up to 2 ounces to Canada, and up to 1 ounce anywhere else in the world for a set price of $1.10. A complete list of prices with some additional information can be found here. When visiting there I found that opening the CVS files were readable. I wish the post office would give us better charts, and prices prior to these changes so that we ourselves could better prepare with our online businesses. Unfortunately, until they go into effect fully it is almost like mystery, and so very hard to find. Hope this finds everyone adjusting with the changes, and preparing your listings that you have online for selling as well too. I haven't started yet, but hope to be working on all my listings in the next few days making the adjustments. If something would sell before the prices go into effect I would naturally reimburse the difference to the customer as I have always done. 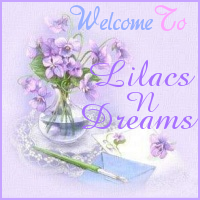 Thanks for sharing your time at LilacsNDreams today, and hope to see you again soon. 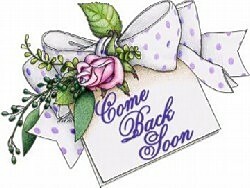 Take care till the next time everyone.